08 Sep 2012 Comments Off on Filler Post: Screenies Ahead! Obviously, Dufit’s been holding out on those DMF game tickets. Until he was spotted in the company of the dancing bear mount. 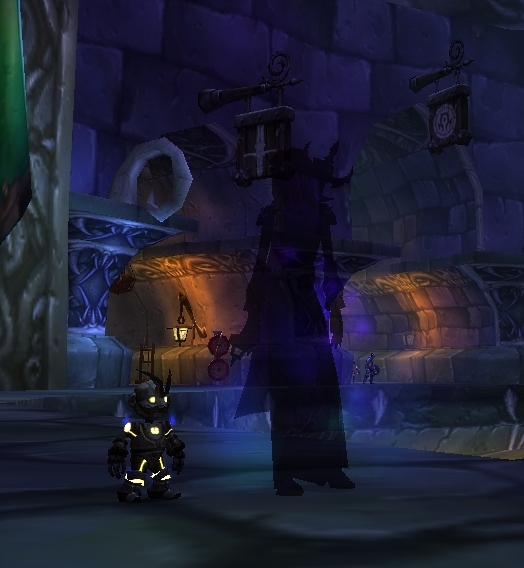 I really need to keep a closer eye on those shadow priests. Hmmmm? And I thought she was just chillin’ out in Dalaran. 🙂 At least Dufit worked for his playtime at the Faire! Oh geez! Thought I left you wandering in Hillsbrad? 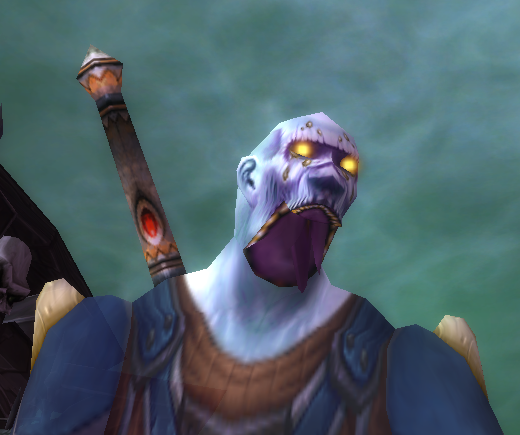 This is Ay’s current look…he wasn’t too awful happy about showing his helm for this portrait. I had to bribe him. As you can easily tell, Ay’s gear is a mix of Ruthless and crafted Vicious pvp. Along with some rep and quest reward gear. Yeppers! Most dedicated/leet players would cringe at this sight. And not the ‘cringe in fear’ type. With the coming of Mists, Ay has been gazing into his crystal ball and wondering if he should try to upgrade his gear. Even if just a little bit. Am I, his handeler, worried about it? Not really. Other mains, alts and I have gone into new expansions in considerably worse conditions. His current gear ilvl is 372. Obviously, some improvement would be easy enough to obtain. A few more TB’s and assorted battlegrounds and he could finish out the Ruthless set. Maybe push himself up to 390? Does he really need to do this? I’ve been avoiding a lot of the technical information that’s been flowing for months over the new Mists. I seriously thought I’d rather go in blind and experience the whole of it in all it’s new-ness and glory. It’s been a challenge. I tend to take little quick sneaky peeks now and then, lol. 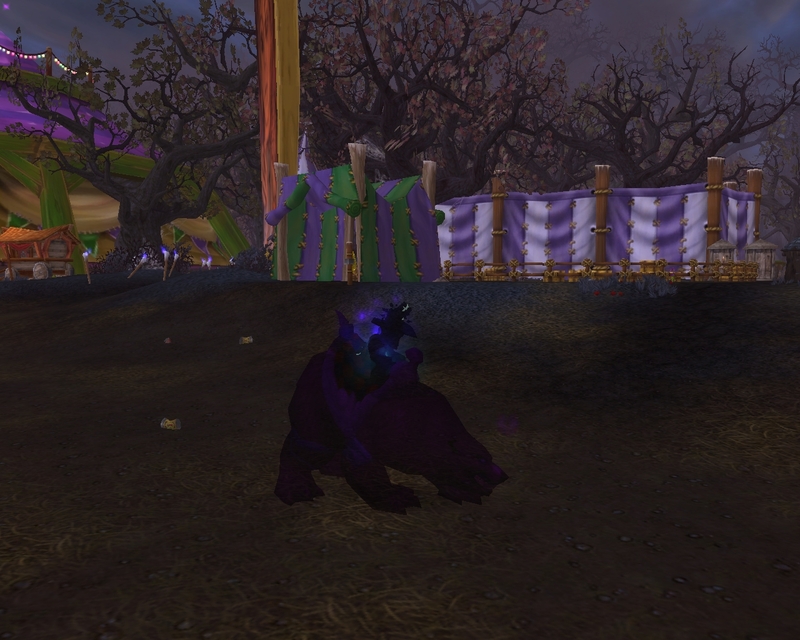 Hmmm, the best laid plans of mice and men…..and Tauren. The bottom line to all this rambleing on, is that Ay may have to forego some of his current pleasures and general laziness. Some of his bucket list of extra benefits may have to be curtailed. 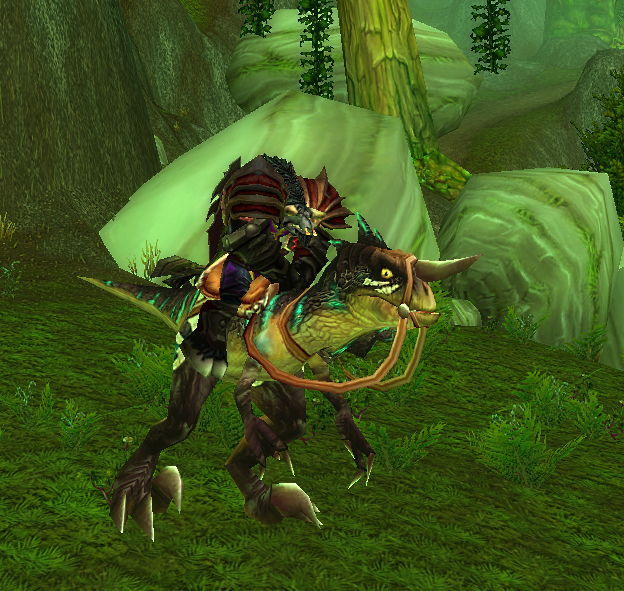 He may have to stop hunting those elusive mounts and frightfully tiny camel thingies. 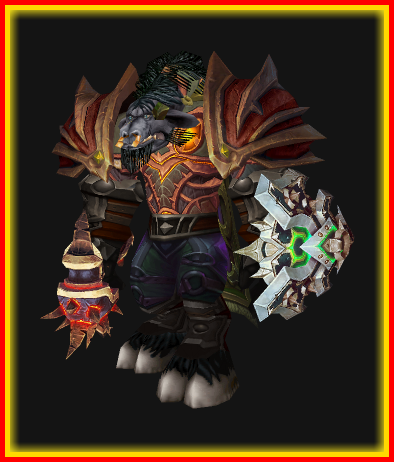 This makes for one disgruntled Tauren. Look out Tol Barad! Ay’s in a mood and looking at you. Ah yes, Tuesday maintenance. I’d much rather be playing. There are darkmoon tickets to be had, dailys, achievements and just so much to do. According to Blizz though, “Take all things in moderation. Including World of Warcraft!” So, Tuesday is my moderation day. 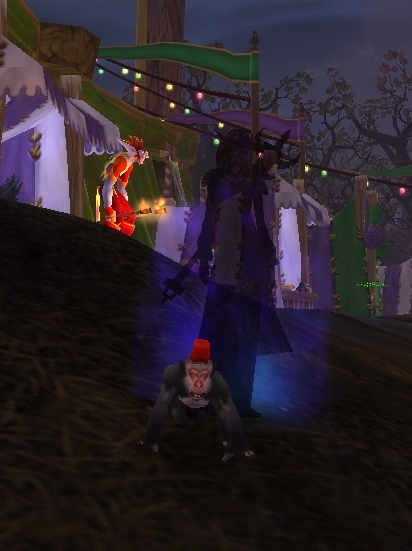 On the down side, Aygaren’s weekend plans of battlegrounds did not fair well. Tol Barad was the warmup site of choice, a couple of times. 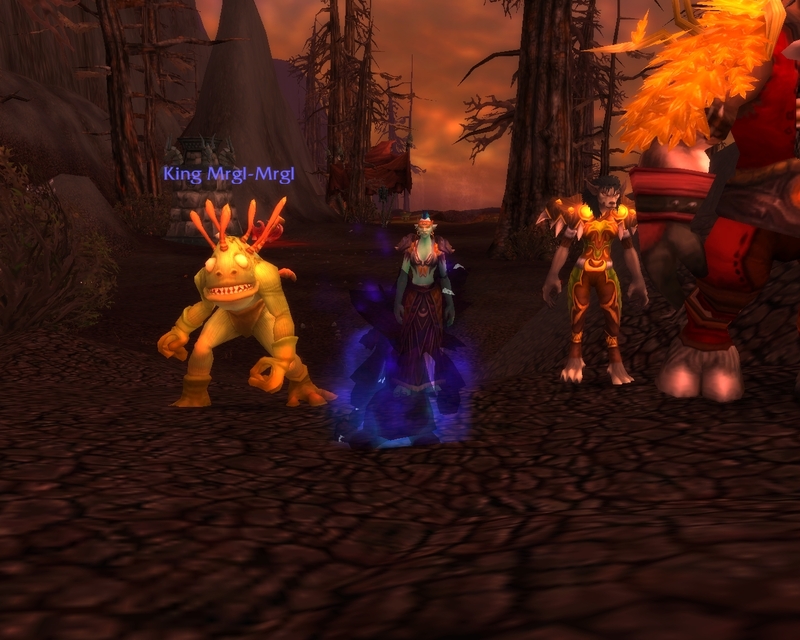 Many of the weekend pvp’ers, well, weekdays prove to be the better choice. Ay did attempt to take his orphan child to Arathi Basin. Big, I mean really BIG mistake. For a prot Pally wearing plate and somewhere around 2.5k resil, he never felt so squishy. Everywhere he showed his face was like an instant calling card for every Ally within 30 yards to attack him. Ay died. Ay died a lot. He abandoned his orphan child. AB was so depressing, he did not bother to venture into Gilneas for the Call to Arms. On the up side: Ay did gather some more achievements on his heroic dungeon list. He also had been shopping with his honor point coins. He now sports a new mace and shield. 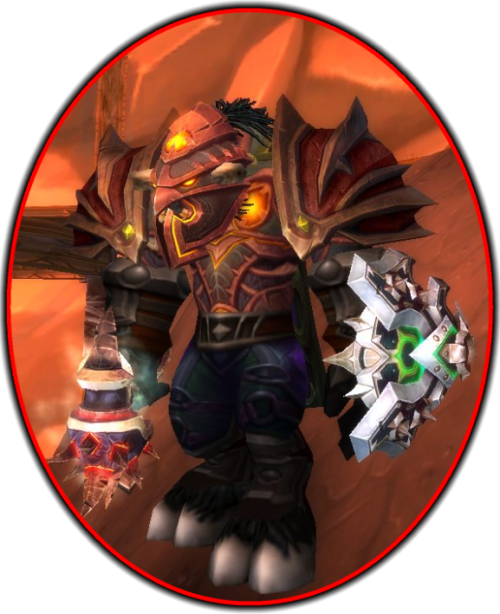 The shield is kinda cool looking, though he’s still considering putting his transmog look back on. Creating a complete new look is on the ‘to-do’ list today. He was never happy with those shoulders anyway. It took a lot longer than it should have, but Ay finally visited Un’Goro enough times to add another mount to his stable. It was only supposed to take 20 days! Turned out to be several months. Ay decided to take a sick day, after his depressing show in AB. 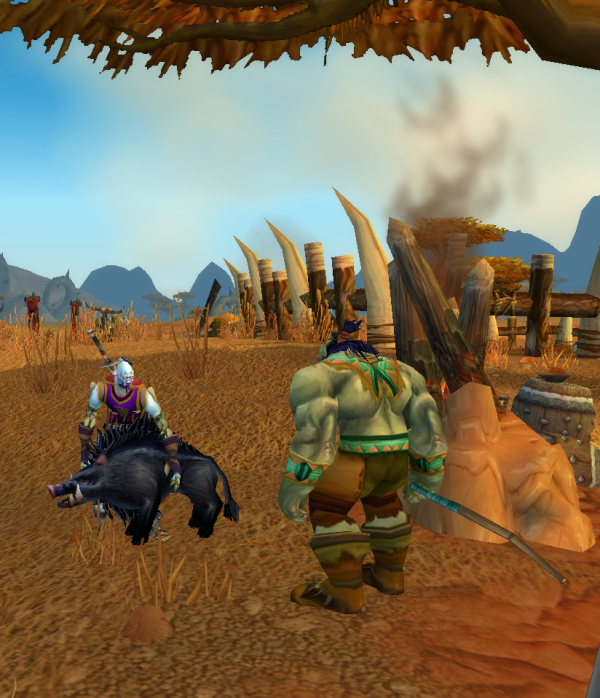 His little buddy from Undercity had been touring the Barrens. Meet Olmer. Have to watch this guy, he has a thing for corpses.